in the authentic ancient Greek spiritual tradition! All these terms denote one and only thing: the ultimate science, the ultimate art of being able to acquire or achieve anything you wish -whether it concerns changes in yourself, or changes in your external everyday reality- utilizing to the extreme your endless psychic and mental powers, as well as a number of key-universal laws ruling the manifestation of desires’ process. “But is there really such an incredible art, such an amazing knowledge?”, you may probably wonder and even with a dose of distrust; a distrust quite justifiable, due to previous ineffective attempts at conscious creation. If you have tried to put into practice a simple Conscious Creation “recipe”, like those e.g. 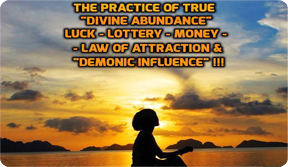 suggested and concerning the “Secret” or the “Law of Attraction”, you might have ascertained for sure that “something really important is missing”. Fighting and thinking positively all the time, waiting for a success to come, simply proves to be not enough to manifest what you desire (see home page / key-texts on conscious creation / Why what you 've been told about the Law of Attraction is not enough). It is highly possible that you have encountered failure in the past during your attempts to fulfill your goals, and have become so disappointed that you blame yourself, believing you are incompetent and incapable of applying the “prescription” correctly. Or, on the other hand, you might be wondering whether all these ideas about “conscious creation” are nothing more than a deception; one more marketing ploy to extract money from people. Take heart! Neither are you the problem nor is the law of attraction, in its authentic version, a deception. However, in order to achieve 100% success it is imperative that you become aware of some crucial secrets which have never been revealed thus far, either because they were unknown or because they were deliberately withheld. The implementation of this information plays a defining role in the manifestation of goals. What is required is a complete system of integrated knowledge, which is practical, methodical and which will unfailingly guide you to certain success using the most scientific, comprehensible, safe, quick and effective way. It is vital to your future success to understand why you have failed in the past and how you, an aspiring reality co-creator with a specific type of personality, family history, nationality and cultural background, come into the picture of the art and science of conscious creation. That is the purpose of Morphogenesis! What is Morphogenesis and where does it originate? 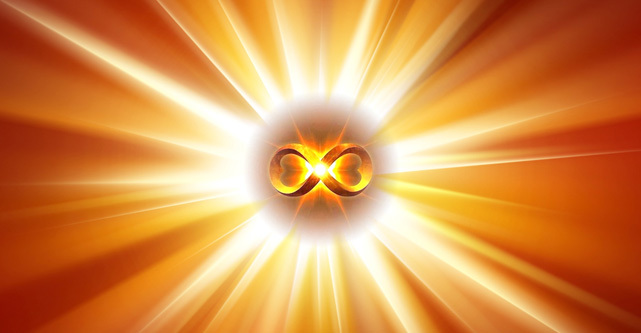 The Morphogenesis system constitutes an autonomous section of the authentic ancient Greek esoteric tradition, called “Forces of Light” (see home page / About us - Our Intention). It is a supreme form of spiritual teaching, which has up to date been kept in secrecy and was only conveyed selectively through a small circle of initiates throughout the world. Its aim is the spiritual integration of man into a unit, but also the spiritual transformation of humankind and the planet as a whole. A) Manifest every desirable goal, and achieve unlimited personal success, abundance and growth, in both spiritual and materialistic terms. This will be accomplished without harming their fellow man, while maintaining perfect harmony with the universe. However, Morphogenesis, due to its higher spiritual origin and due to the Higher Spiritual Powers’ intention to actually and efficiently help humanity to evolve faster, is essentially something much more than a powerful system of goals’ manifestation. The whole training in Morphogenesis, as well as the implementation process of its unique Manifestation Protocol, consist a course of deep self-awareness, self-improvement and spiritual growth for every graduate of the system. Thus, students in Morphogenesis have the unique advantage (which is not offered by any other system and they are in fact very lucky to have two systems in one) to directly manifest their goals, as well as to achieve a rapid deepening in their self-awareness and personal growth, that changes their lives radically and permanently towards the direction they always desired. What makes Morphogenesis so unique and powerful? The Morphogenesis system offers three levels of training, according to your particular needs (find more details about the unique knowledge included in Morphogenesis' lessons by reading the lessons' contents and selected excerpts on our subpage e-training / contents). 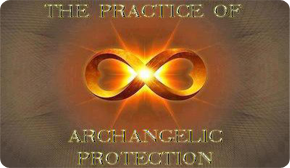 Its theory and practices, culminating with the magnificent "Goal Manifestation Protocol" are unique and are being offered for the first time to the general public due to the challenging conditions currently faced by humanity and our planet (see home page / New Earth Network / key-texts "8000 Operators" & "After 2012"). The Morphogenesis system is powerful, scientifically structured, clear, comprehensible, safe and easy to apply. It offers brief but qualitatively concise and superior theoretical and practical training on all the essential levels (energetic, mental, psychological, emotional and spiritual). Through this training you become competent to consciously cause defining, positive changes in all areas of your life (both internally and externally). Substantially you become a proficient operator of the cosmic energy (within and without), a master of the law of attraction, a reality creator, and a real virtuoso in the construction of powerful manifestation thought-forms for every desired goal. 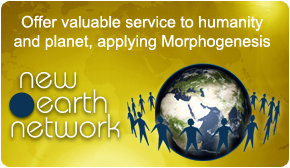 Health, vitality, professional accomplishment, abundance, personal success, intimacy, psychic protection, esoteric guidance, angelic contact, inspiration, global peace, environmental protection, human solidarity, planetary therapy, confrontation of evil, are just a few of the indicative fields which can be influenced positively by the absolutely successful implementation of Morphogenesis. Believe it! There is a solution for each of your problems and a “magical ticket” to fulfill every dream you have! (as much as it sounds too good to be true). This is the message of joy and revival which Morphogenesis professes. Moreover, the Service of "Spiritual Guidance", offered for free 24 hours a day, can answer every theoretical or practical question you may have. Therefore, by entering the circle of the Morphogenesis trainees you ensure almost 100% success for every goal you desire to manifest. Morphogenesis: the great chance of your life! In contrast to the deficiencies and the problems you may have faced so far with the practical implementation of the law of attraction, Morphogenesis possesses all the vital “keys”, the critical answers, the profound knowledge, the true secrets, and the fastest, most systematic method for conscious creation. From the first moments of initiation into the system of Morphogenesis training, one easily perceives that it is a distinctive system which stands out for its credibility, integrity, safety and efficiency. 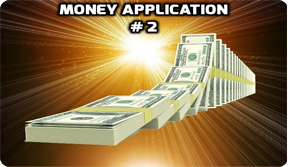 It is the only system which guarantees an almost 100% success rate. For the first time you are now presented with a great opportunity to shift “vibrations” radically. To abandon the "passive observer of life" attitude and take life into your own hands instead. To enter into that elite group of people who create reality consciously –both their own and that of others’. To manifest goals which you would never have dared to dream about in the past, let alone consider the possibility of ever being in a position to achieve them. To make full use of your potential, conquering happiness safely and harmlessly while maintaining perfect harmony with the universe. To offer substantial help to your fellow humans, contributing in this way to the spiritual transformation of Earth. Morphogenesis provides you with all the necessary means for the realization of this great change and ensures you undeniable success. Conscious Creation is the knowledge and skill to transform your "invisible" desires into "visible" and "tangible" reality! !